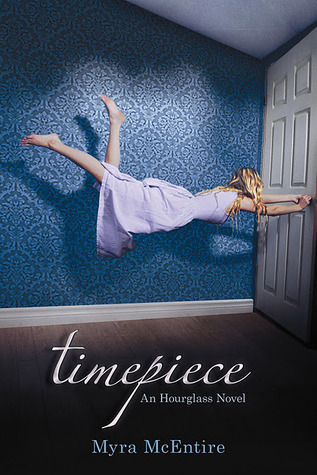 Timepiece by Myra McEntire Review - My Life Is A Fairytale That Will Never End. Kaleb Ballard's relentless flirting is interrupted when Jack Landers, the man who tried to murder his father, timeslips in and attacks before disappearing just as quickly. But Kaleb has never before been able to see time travelers, unlike many of his friends associated with the mysterious Hourglass organization. Are Kaleb's powers expanding, or is something very wrong? Then the Hourglass is issued an ultimatum. Either they find Jack and the research he's stolen on the time gene, or time will be altered with devastating results. As you know Timepiece is told by Kaleb's point of view. Which was ok, I really liked him! But sometimes, especially at the beginning it was a bit confusing. Well, you know, the reader is used to Em's feelings and thoughts and especially her attitude :P So yeah, but it was good. Because Kaleb feels all the emotions from others, so we actually get to know more about others. It's more deep. At first, after finishing Hourglass, I was contemplating if there will be a development of the love triangle in the second book. I was so relieved, that this wasn't the case. I would have hate it, for Kaleb to be hurt. So, the story. Well, there is still Jack and he is still messing up with everyone. But this time he is doing it from distance. He shows up sometimes, but most of the time he is gone. And they are searching for him. Because they got an ultimatum - till Halloween - to find Jack. The time is messed up. Rips from the past are messing with the present. 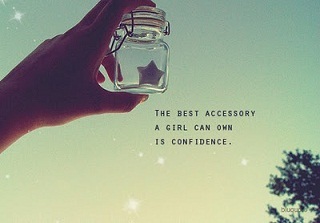 And anyone who has an ability is able to see them. That's why the ultimatum – to restore the continuum. Overall Timepiece was an intrigued and compelling story. Our team gets to learn more things about time space, other abilities and more about the enemies. 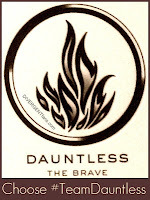 They have also grow up as characters, which I really enjoyed, especially Kaleb. Timepiece was a rollercoaster of emotions and will left you with an insufferable need to get your hands on Infinityglass. Which sadly, we will need to wait a year to read. Great review! Honestly, I'm still not done with it yet. I didn't want a love triangle to develop, but in the first book I liked Kaleb and Emerson together so much that it was hard to watch Kaleb and Lily fall in love. After I got over that, Timepiece became so much easier to read. I really adore Kaleb, but I felt like he lacked the closeness of 1st person narrative. Em was a much stronger character that way in Hourglass. I'm so excited for Kaleb's POV! I loved him in the first book and felt a lot of chemistry between him and Emerson. I am glad that it wasn't pushed any farther in this book. I don't want to see him hurt. I was wondering about Lily and what her ability will be. I'm glad that Kaleb will fall for Lily but like Julie I really like Emerson and Kaleb. Michael was always boring to me. I haven't read this series yet, but I've heard some great things about it. Your review has me really intrigued.